Digital iVision Labs! 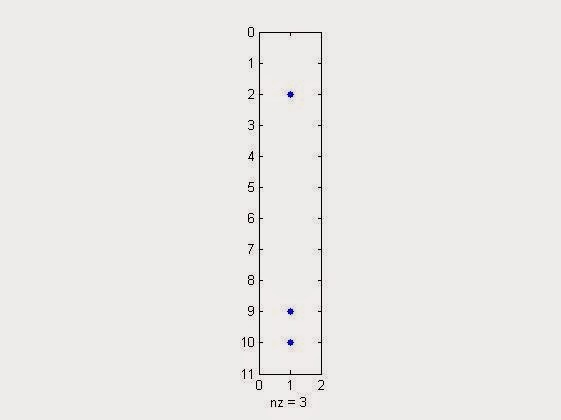 : How to Visualize Sparsity of a Matrix or a Vector in MATLAB? 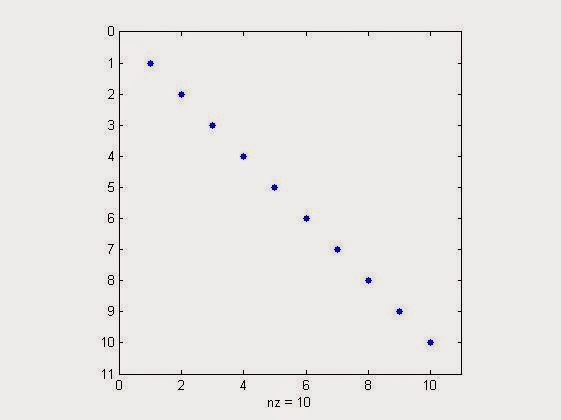 How to Visualize Sparsity of a Matrix or a Vector in MATLAB? So, what is sparse signal/matrix/vector? Their generation & use in Matlab refer the link of our previous article, Creating & Using Sparse Matrix & Vectors in MATLAB - Concepts & Examples. Now its time to visualize the sparsity of generated or received signal/vector/matrix. But why there is a need of visualization? The actual need arises when we want to see where the energy is concentrated in the received or generated vector/matrix. If the matrix/vector is sparse then there are very few percentage of non-zero elements, thus energy will be more concentrated to those elements. The command we will use for this purpose is spy( ). Remember this command has got its place at Digital iVision Labs, earlier also in the article : Unusual Commands of MATLAB. 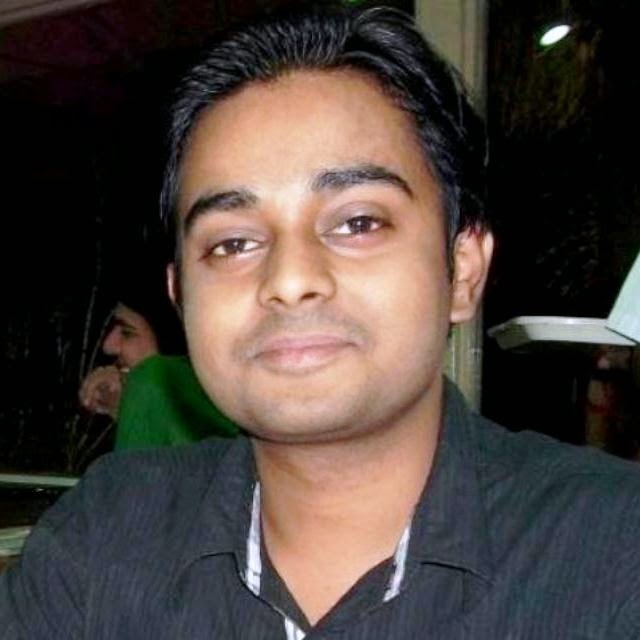 It will give output as, when used without any parameters or function. Now coming towards the topic of visualizing sparsity. 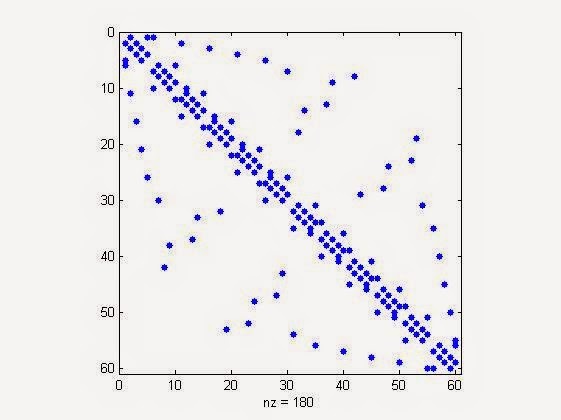 Suppose 'x' is a sparse matrix, having 60x60 dimensionality. 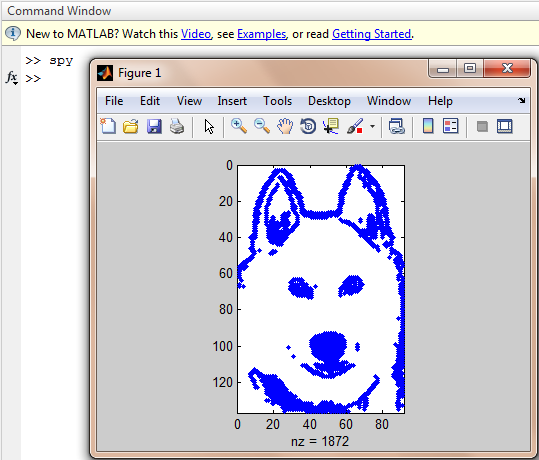 Then we need to use, the command as "spy(x)" to visualize the sparsity in matlab. 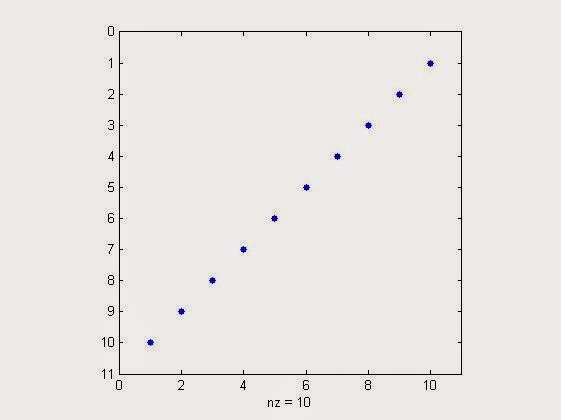 >> spy(x) % to visualise the sparsity. Many things waiting for you at Digital iVision Labs!